Here is another passage that applies to America and her leadership just as accurately as it's original application. Oh that we would hear and repent and return to the one and only living God! 1 And I said, “Hear now, heads of Jacob and rulers of the house of Israel. Is it not for you to know justice? 4 Then they will cry out to the LORD, but He will not answer them. Because they have practiced evil deeds. And darkness for you—without divination. Because there is no answer from God. And Jerusalem with violent injustice. “Is not the LORD in our midst? 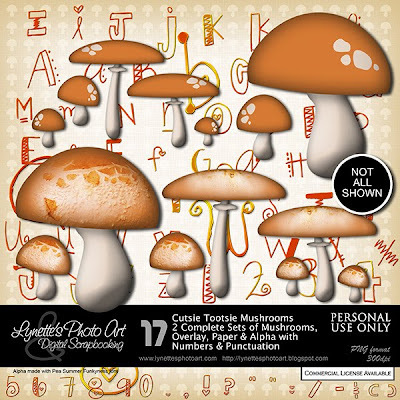 Cutsie Tootsie Mushrooms has two complete sets of adorable Mushrooms in two styles and good sized, an Alpha with Numbers & Punctuation, an Overlay and Paper. $2.99 at my PayPal store. Click image to enlarge. Click Buy It Now button below image to purchase. Today I'm giving you a word art made with this alpha to sample. Enjoy! The alpha was made using Pea Summer Funkiness. 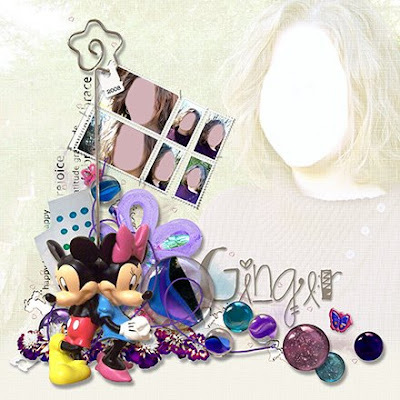 I love your comments, so please leave onet at the bottom of this post as I have disabled 4shared comments. This helps me to know what you like for the future and please support this blog by shopping my PayPal store. God bless you!